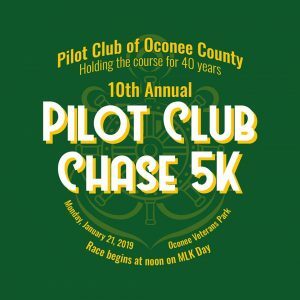 Pilot Club of Oconee County – Pilots touching the lives of others. Welcome to the Pilot Club of Oconee County! The Vision of Pilot is to achieve universal awareness and prevention of Brain-related Disorders and Disabilities. The Mission of Pilot is to serve by furthering Pilot International’s humanitarian efforts through charitable, educational, and research programs in communities throughout the world. The Pilot Club of Oconee County was sponsored by the Pilot Club of Winder, Georgia. Charter Night was held on March 27, 1979, at the Watkinsville Community Center with 24 ladies being initiated as Charter members. We are proud to say that Charter members Mildred Bell, Joy Elder, Ann Giles and Joan Mann are still active in the Club. Pilots have been able to improve the lives of people in Oconee County for thirty-six years and we look forward to continuing helping people affected by brain-related disorders and disabilities through volunteer activities, education and financial support.